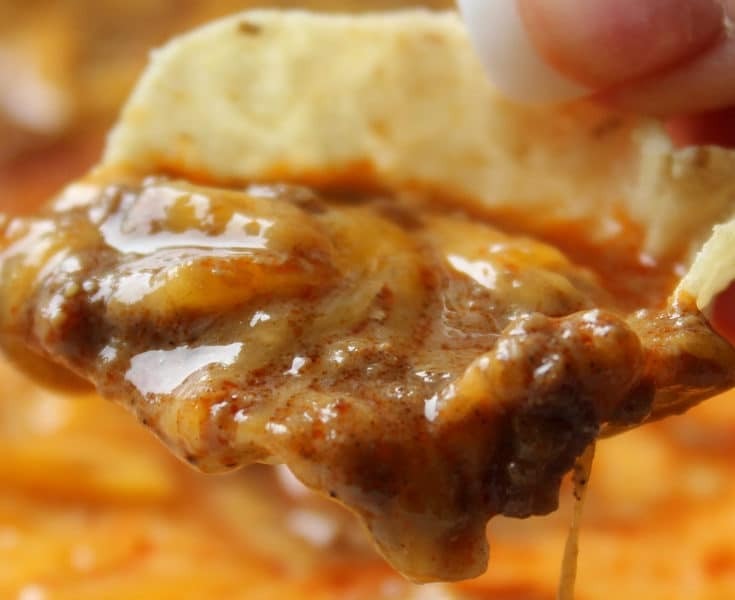 Do you love Chicken Tortilla Soup? 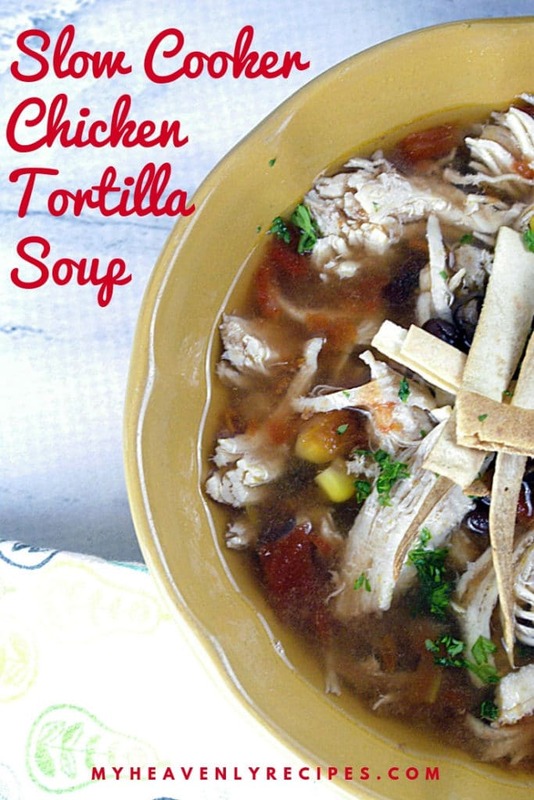 If so, you are going to love my recipe for making slow cooker chicken tortilla soup. It is a copycat version of the Chick Fil A chicken tortilla soup and it is amazing. Soup is great on a cold day or a warm day, and basically anytime. I love slow cooker chicken tortilla soup anytime. It is a delicious soup, with great Mexican flavors. Since it is made in the slow cooker, this soup is easy to make and has a rich flavor. 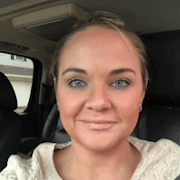 What is in Chick Fil A chicken tortilla soup? Chick Fil A chicken tortilla soup is a hearty soup that has shredded chicken breast with beans and tomatoes. 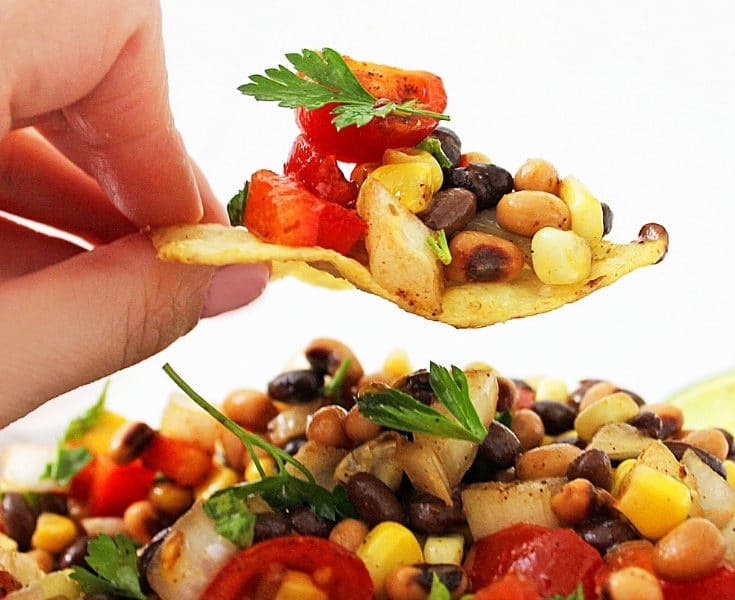 It is packed with Mexican flavors, including lime, and is topped with tortilla strips. 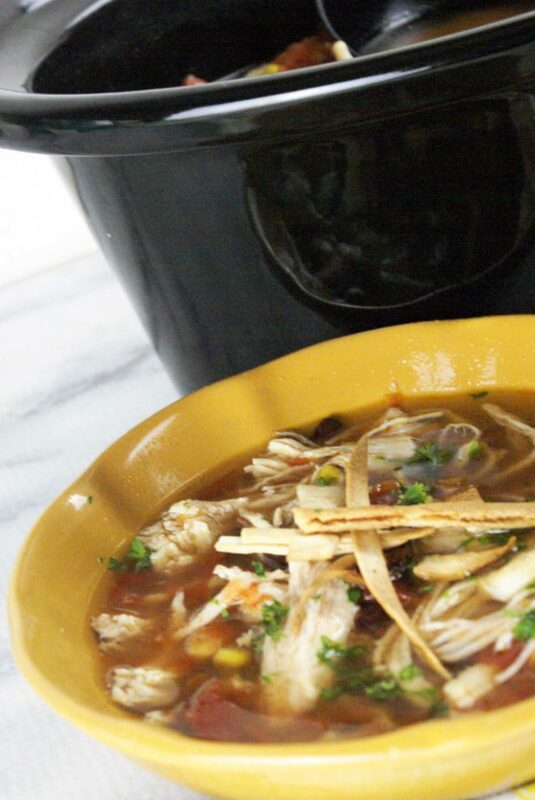 Our version is a slow cooker chicken tortilla soup which gives the soup a rich flavor. 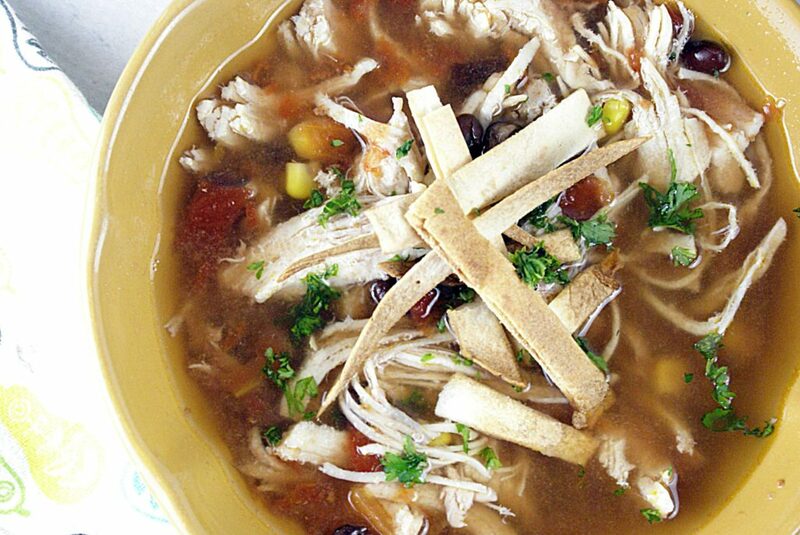 When it comes to making soup, slow cooker chicken tortilla soup is extremely easy. Making soup in the slow cooker takes a lot of the work out of making soup. It gives the soup a slow cooked rich flavor but you don’t have to stand over the pot all day. What spices to add to chicken tortilla soup? 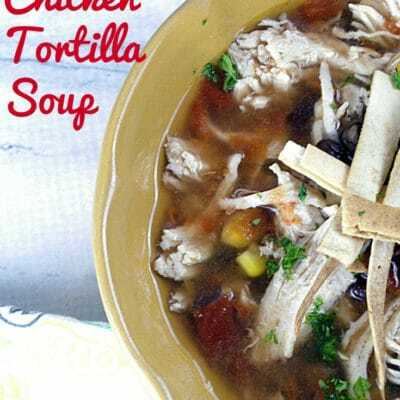 Slow cooker chicken tortilla soup is seasoned with Mexican spices. Using chicken broth as the base, it is then seasoned with garlic, chili powder, cumin, paprika, and lime. This flavor combination makes the soup have a great taste. How long is chicken tortilla soup good for? How long slow cooker chicken tortilla soup with stay good for depending on how it is stored. When it is stored in an airtight container in the refrigerator, the soup will last for 3-4 days. The soup will maintain its freshness in the freezer for four to six months. 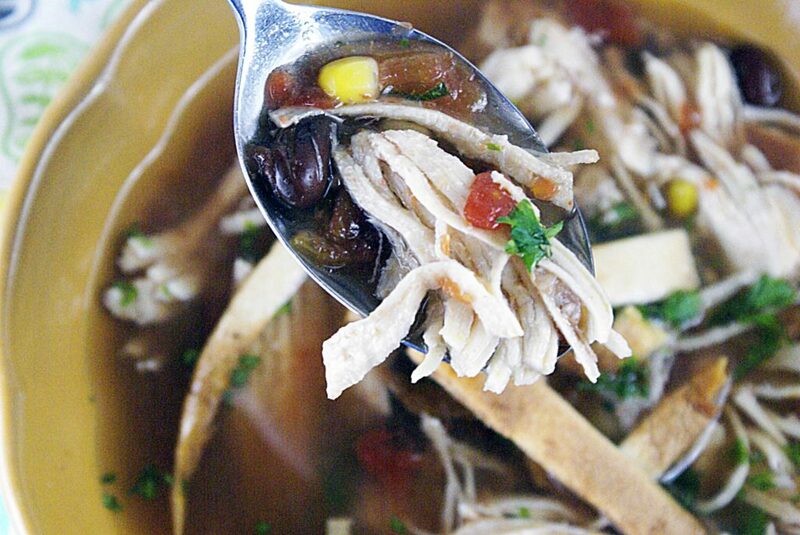 There are several ways to make the slow cooker chicken tortilla soup thick. You can add a starch like arrowroot. You can some tortillas to the soup when you first start to cook. These tortillas will dissolve during cooking and thicken the soup. You can blend some of the soup. Using an immersion blender, you can blend part or all of the soup to create a thick puree like broth. Remove the chicken and blend. Add more beans. If you like a lot of beans in your soup, add more beans. 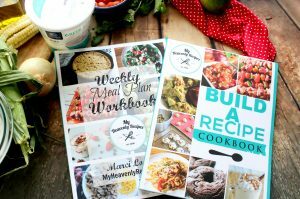 You can add Navy Beans, more black beans, or any other kind of beans you enjoy. Leftover chicken or Rotisserie Chicken. If you have already cooked chicken you can certainly use it in this soup. 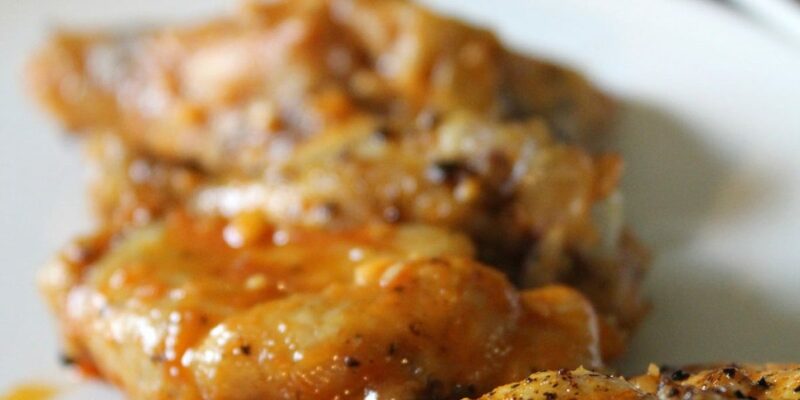 You will need less cooking time if using cooked chicken. What are the ingredients for chicken tortilla soup? 1. 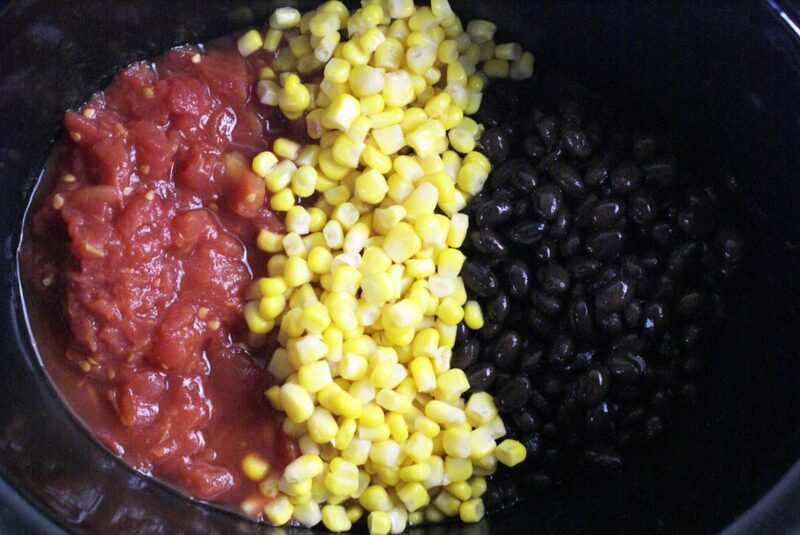 Place corn, tomatoes, and black beans into the slow cooker. Then add in seasonings. 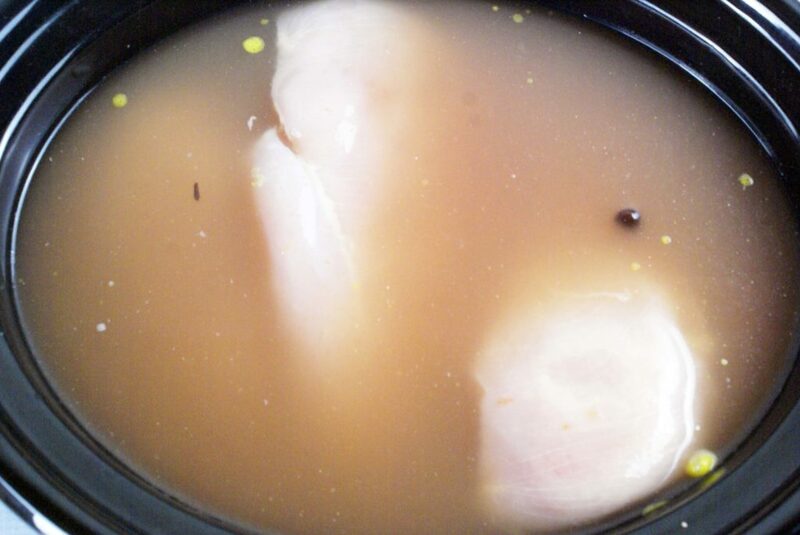 Add in chicken broth, and then follow it by placing in chicken breasts. 2. Place on Low heat for 6 1/2 hours or high for 3 hours. Once done, remove chicken breasts and set aside to cool. Once cool, shred with forks and place back in broth. 3. 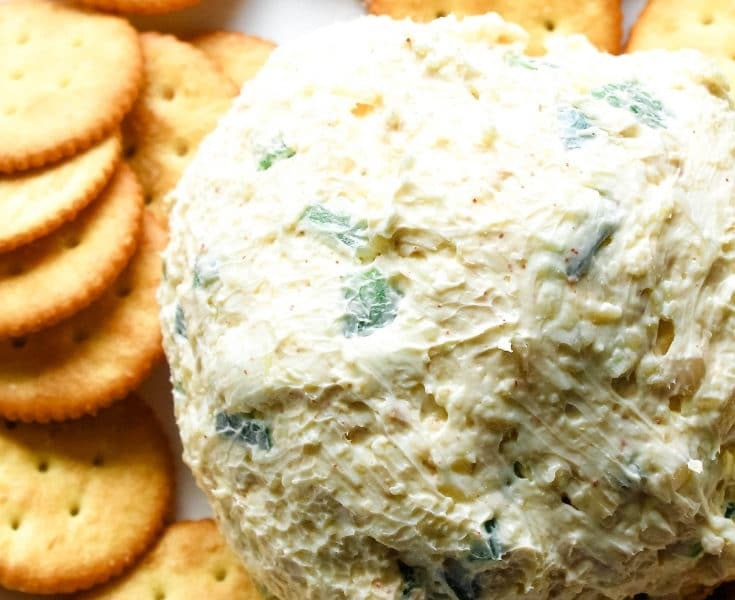 Serve with crisp tortilla strips on top with minced cilantro. Place corn, tomatoes, and black beans into the slow cooker. Then add in seasonings. Add in chicken broth, and then follow it by placing in chicken breasts. Place on Low heat for 6 1/2 hours or high for 3 hours. Once done, remove chicken breasts and set aside to cool. Once cool, shred with forks and place back in broth. Serve with crisp tortilla strips on top with minced cilantro.